I’d been hearing about this new book from several sources so when it was time to order more books for the Arbor Gate I made sure this was part of our order. We were not disappointed! 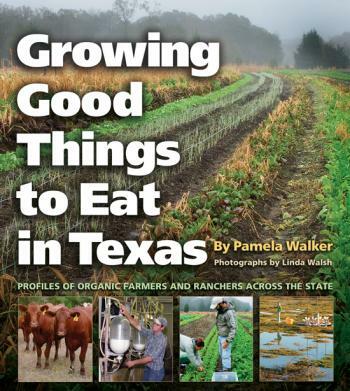 GROWING GOOD THINGS TO EAT IN TEXAS by Pamela Walker profiles the lives of eleven small farmers across Texas. Last week I was pleased. to meet Pam, author of GROWING GOOD THINGS TO EAT IN TEXAS who is as delightful and interesting as the stories in her book. So, if you enjoy a good read and gardening, give this new book a try.